We know that there are a lot of courses out there, not just in Europe but all over the world. Then you have to decide what you do afterwards, will you stay or leave resort? Will you teach or not? How do you get a job? Will you do another exam? Will you need a work permit? It all means that it can be a tough job choosing the right course – and the right people to do your course with. So it’s no surprise we often get asked “Why should I book with Peak Leaders?”. Naturally we feel a bit awkward because we don’t like to blow our own trumpet, but we’re confident that a course with Peak Leaders is always an unforgettable experience where you always get more than your money’s worth. We think experience is a huge factor when you take a course. It’s not the only factor but it makes a huge, huge difference. Peak Leaders was formed in 2000, and we’ve been running courses all over the world since then. That’s a lot of courses, a frightening number of trainees and a lot of opportunities to learn. That means we’ve had years to improve, adapt and develop our courses – from finding better and better accommodation to getting better deals with shops in town to making sure you have the best coaches. 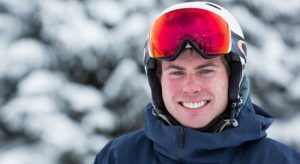 It even means we have been able to see when the best timing was to run courses – not just for the best snow but for the best employment opportunities afterwards. Our experience also means whatever happens we’ve been there before – we know what to expect on a course, how to solve problems as they happen (or before they happen), and who in resort we need to talk to about anything. Our team knows all of our resorts inside and out. Plus we have years and years of experience making sure everyone has an amazing time. Over the years we have run courses pretty much everywhere you can ski. In fact for a long time we increased the number of courses we ran, but then we decided to cut down to just three places. Why? Because we realised that the courses were always best when we knew resort best. We could do a better job and give a better experience when we knew the resort, the people and the culture perfectly. In the places we think of as home. 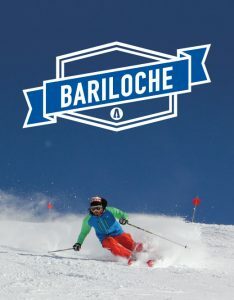 So now we operate in three key resorts – Bariloche, Saas Fee and Verbier. The combination means that we offer courses in the Northern Hemisphere summer, autumn and winter. And all the courses are timed so that you can train, qualify and get a job teaching afterwards. 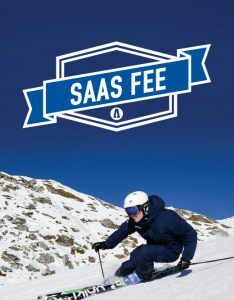 Bariloche and Saas Fee are finished in time to apply for a job and work the full winter, whilst the Verbier course trains you for the first half of the winter so you can work for the second half of the season. 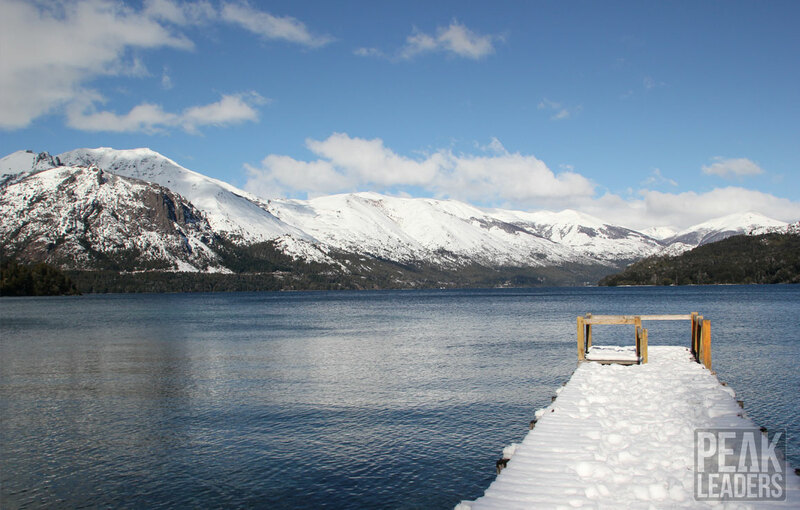 We also time the Bariloche course so that you can train and qualify before heading to University if that’s your next step. Above these are hand-picked resorts that we have chosen and resorts we love skiing in. 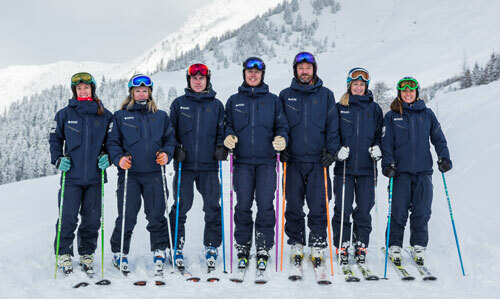 Peak Leaders is part of Element – a ski school based in Verbier with a team of BASI qualified ski instructors. So whether you’re dealing with the office, thinking about booking, preparing for your course, training, taking exams or looking for work afterwards, you’ll be supported by people who know what it’s like to do your first BASI exams and get your first job. 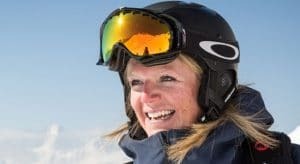 There’s more to the team than that though, because our coaching team are all BASI Level 4 coaches lead by Emma, who is BASI 4 as well as a BASI examiner. That means our coaches haven’t just been through the entire system – and experienced all the ups and downs of instructor training – but they also know the exam criteria and are perfectly placed to help you make the changes to pass your exams. It’s an experienced team that not only love teaching and love coaching other instructors, but also a team that knows exactly what it’s like to be in your boots and can help you prepare for the course perfectly and get the most out of your season when you get on the snow. 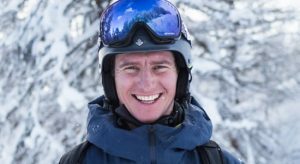 The British Association of Snowsport Instructors is an internationally recognised training body, with exams that are recognised by every skiing nation on earth. 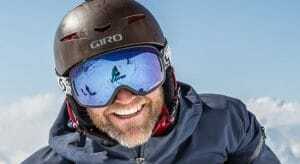 The system is modern and clear so that from the very start of your course you are introduced to concepts and ideas about skiing that are both hugely beneficial but easy to digest. We’ve all been BASI members for years and we’ve seen who BASI has developed and improved at every opportunity and that’s why their qualifications are so widely respected and recognised. That means that when you start to apply for jobs, employers know exactly what the BASI Level 1 and 2 represent and they are already familiar with employing instructors with the same qualifications. They know what they are going to get and they like it. We are committed to making every single course as good as it can possibly be. We’ve spent years running these courses, constantly re-examining how they work, when is best to run them and what you get – making sure we offer more of what you want and everything you need. That means we have spent ages agonising over the accommodation – finding the best location and working with people who we really know and trust. We have been able to work with the hotels and chalets to make sure the quality of the food is amazing and also make sure the little things run like clockwork – from the cleaners to the linen changes to a ski servicing area and the extra facilities. We’ve added French lessons to some courses, Spanish and Tango lessons to others, whilst fitness is a common theme on every course – we know how vital improving you fitness is to being able to pass you exams. We’ve worked for years to make everything run better, run smoother and give you the best experience. We know that when the course stops our responsibility doesn’t end. We spend months training instructors and we don’t want to switch off when the Level 2 finishes, we want to make sure you have support if an when you need it – in person, on the phone or maybe on an email from the other side of the world. We even get trainees get back in touch years after the course for advice and recommendations. When the course ends we’re there to help you apply to ski schools (where our network of contacts built up over 20 years coms in very handy), understanding local work permits, choosing new ski kit, even helping trainees recovering from injury or perhaps planning further exams and further training. So we make sure that whatever your question we have the best advice on hand. We’ve thought long and hard about every aspect of every course. In fact the secret of Peak Leaders is probably our constant desire to constantly adapt and improve what we do – and by absolutely loving doing it. It really is a competitive marketplace and there are certainly a lot more operators than back when we started in 2000, so now more than ever we know we have to deliver the best possible courses and make sure every single trainee has the best possible time in the mountains. Because, above all, we want you to have an experience that you’ll remember for a lifetime. WHY IS A COURSE IN ARGENTINA SO AMAZING? 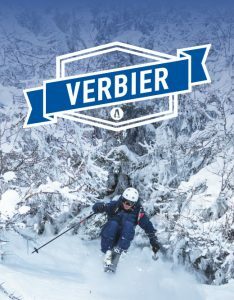 Peak Leaders is run as part of Element ski school in Verbier. 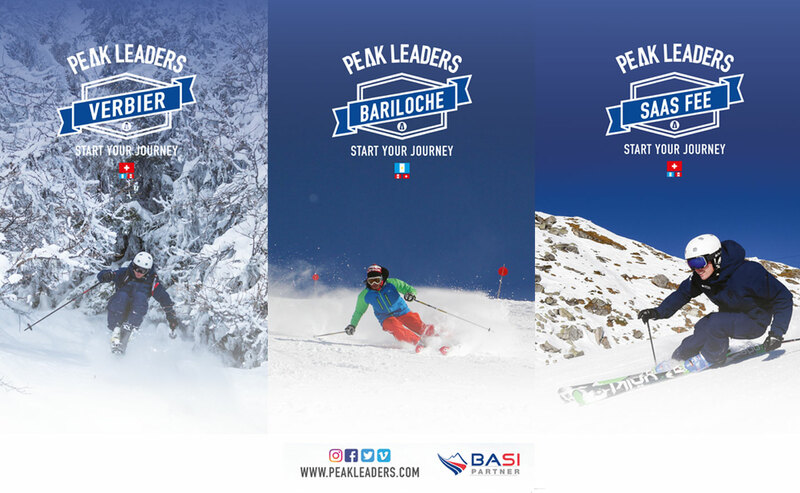 So when you talk to anyone from Peak Leaders you'll always be talking to a ski instructor who knows exactly what it's like to take you very first steps towards qualifying as a BASI ski instructor. Who goes on a course?